OptiMate USB chargers are purpose-built for motorcycles, allowing riders to charge electronic devices like phones and tablets whilst on the move. 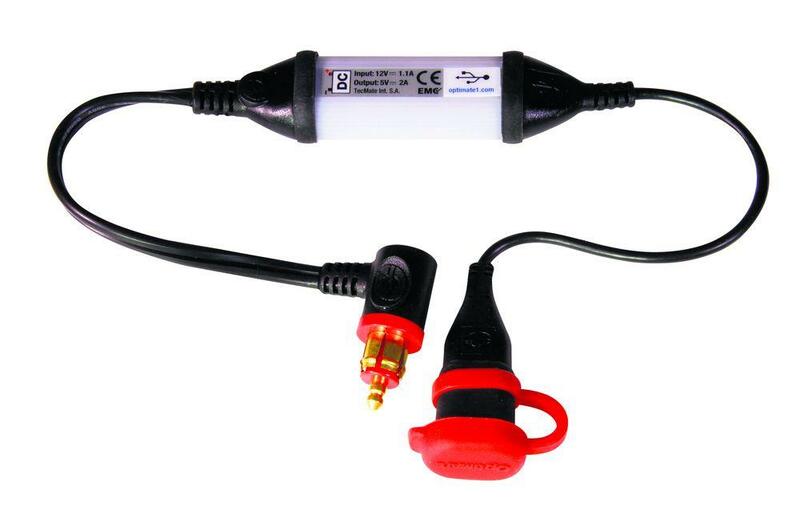 Delivering a continuous 2.1A of power, the O-103 charger connects directly to a wire attached to the bike’s battery. The device will then automatically stop charging if the battery’s voltage falls to 12.5V. The O-104 charger comes with a moulded plug that fits into all standard BMW, Triumph and Victory OEM sockets. Weatherproofing also comes as standard, preventing any circuit damage and guarding against issues with the bike’s electrical system. Mobile device motorcycling charging to change your life?